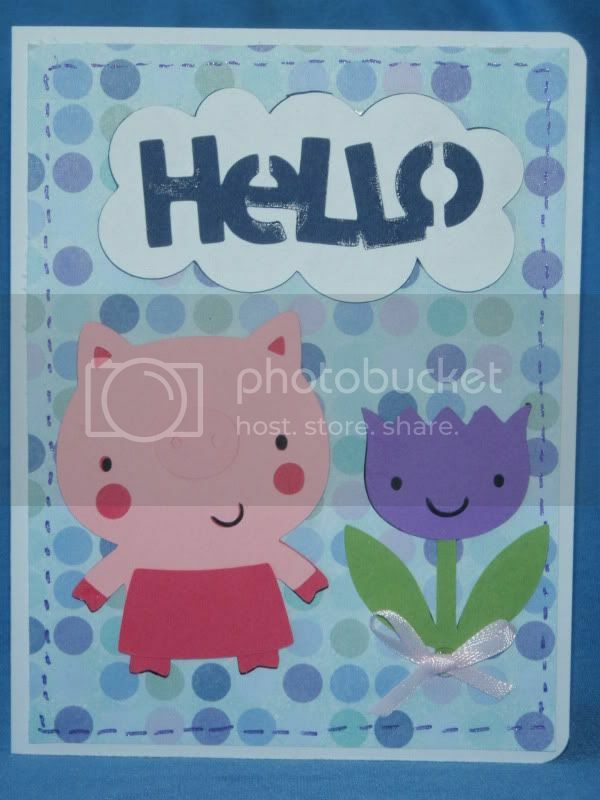 Still using the Create a Critter cartridge...Here's the pig that inspired me to make yesterday's card, but didn't actually make the card as I didn't think it went together with the house. The pig is cut at 2 3/4" and is found on page 28. The tulip is an accessory to the hippo and is found on p. 44. I cut the stem at 3 inches but the tulip bulb at 2.5" mainly because I thought it balanced with the pig better. The cloud is from the giraffe and appears on p. 48. The paper is from Hot Off the Press and is at least a year old (from my stash).